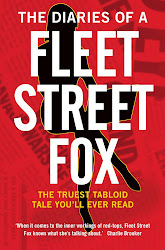 fleet street fox: Yes and ho. CAST your minds back to the summer of 2010. A few months after the General Election which nobody was liked enough to win, there was a big announcement from our shiny new Coalition about how lovely our democracy was going to be. We had shown great disenchantment with politicians and the political process, said our baby-pink Prime Minister Dishface, so we needed to feel more involved. He announced that a system of epetitions set up by the previous much-hated administration would be expanded, given its own website, and each that passed 100,000 signatures would be debated by our representatives in Parliament. Dishface said: "One of the points of the new e-petitions website is to make sure that if a certain level of signatures is reached, the matter will be debated in the House, whether we like it or not. That is an important way of empowering people." Then a few months later it was announced the whole plan was 'under review' because someone had noticed the epetitions could be a bit embarrassing as they had previously been used to call for the resignation of the Prime Minister and overturn of major policies. We can't have that, can we? Then this August it was launched again, by then Leader of the House Sir George Young, 6th baronet, convicted drink-driver, millionaire but with enough normality about him to rebel against the poll tax and go out to collect rubbish as a Lambeth councillor when the binmen went on strike. Sir George said at the time: "This is part of a strategy of making the House of Commons more accessible and more relevant. And there's a wide range of subjects... banning smoking in prisons, an English parliament... it's really important people should find it easy to let Parliament know what their views are and what they would like to see us discuss." Asked if this was just a shallow PR exercise and MPs would just ignore petitions they didn't fancy, he replied: "If MPs decide, at the end of the day, that we're not going to do what the petitioners want us to do then we're going to have to explain. I think rather than hope the issue goes away and duck it and avoid it I think it's right the House of Commons should address the key issues people are worried about at home." He added that epetitions of 100,000 signatures or more would all be debated over 35 allotted days during the Parliamentary year. Which all sounds great, doesn't it? They seem to have an admirable passion for engaging the electorate, finding out people's views, and acting upon issues which large numbers of people feel strongly about. Democracy in action. Nick Dakin (Lab, Scunthorpe): Considering the need to preserve our Olympic legacy, what does the Secretary of State have to say to those 150,000 people who signed a petition against his plans which will come into force this Wednesday to scrap minimum size regulations for school playing fields? Michael Gove (SoS for Education): I admire their passion, but they are wrong. And that, dear Reader, was that. No-one was surprised. No-one nudged their mate and asked "Is he serious?" Nobody in a room full - well, all right, containing some - of our elected representatives asked a Government minister if he had seriously just said democracy was done with. They moved on to talk about other things. But he did. And it is. And they are quite serious about it, too. In the past year 6.4million people have signed 36,000 epetitions, with 12 people signing up every minute. The website has 46,500 hits a day, which shows how involved voters would like to be. By this time last year seven epetitions had passed the target to merit a debate, and two were dismissed out-of-hand by a group of MPs who decide on Parliamentary business. Of the remainder two were sent to Westminster Hall, where there is no vote, and three were discussed in the Commons. Two of those - one calling for referendum on membership of the EU and another on fuel price rises - sparked backbench rebellions. More than 80 Coalition MPs defied the whip to vote for a a referendum and the fuel debate forced the government to do a deal with its own backbenchers. One of those 'discussed' in Westminster Hall - calling for rioters to lose their benefits, which was backed by 240,000 people - was not mentioned by MPs when they met to discuss it for three whole hours. And another backed by 180,000 people was closed, without any debate at all, because it called on the government to reverse its NHS reforms. Epetitions are just as easily ignored as paper ones - they merely take up fewer trees. We haven't helped ourselves by starting petitions on Jeremy Clarkson being Prime Minister, using spare Buckingham Palace bedrooms for the homeless and the reintroduction of Saxon on roadsigns. And while suggesting MPs have IQ tests was entirely reasonable it was hardly going to fly. We're all grown up enough to accept that democracy is a deal - it's not absolute. We vote them in, to do roughly what they want, but in the knowledge that we'll vote them out again if we don't like it. Most of us could see epetitions were little more than a way for the obsessive to let off steam safely, and we are well aware that politicians of every party think they're right and the other 62million of us are wrong. But we did at least believe that, with a following wind and a big wave of public support, we could make our opinion known. We could do something more than have a Twitter spasm which gets reported in the papers, we could campaign, demand, insist, and by sheer weight of numbers might be able to prove we had a point. Well, I admire our passion. But we were wrong. We are governed by people who not only find it easy to ignore us, but actively seek to do so. There is not so much a sense of entitlement as a total lack of any doubt that we also accept the entitlement they think is too obvious to merit a mention. I say this not to depress you, but because the truth is an important way of empowering people. And the truth is our Parliament is less accessible, less relevant, less transparent and more opaque, obtuse and filled with the socially obsolete than at any point since the Glorious Revolution. Rather than hope this issue goes away, it is time we faced it. Our servants think they are our masters, and we are letting them get away with it. We pay them, we mutter under our breath about them, and fewer of us than ever before bestir ourselves to go to the ballot box and kick them hence. The only thing I want to see them discuss is how, on £65,738 a year plus extras, with free housing and furniture and food, with subsidised booze and sandwiches, with scandal heaped upon disgrace feeding off shamelessness, with barely anyone bothering to argue with them and no-one expecting anything better, they find the time or inclination to destroy the democracy they squat upon.